O Gauge Billboards for your Model Railway Layout. 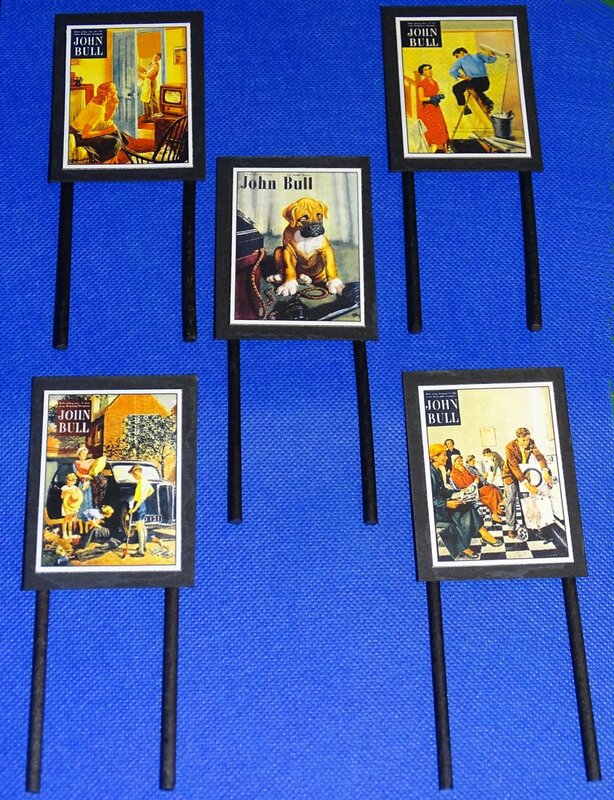 This set consists of 17 lovely miniature billboards depicting the following. These O Gauge advertising billboards make a great addition to your layout. Just make a couple of holes and mount them in a place to suit.